Located at one of Ontario's top beaches, this clean, impeccable 3-bedroom cottage is only steps away from a quiet, private beach with soft sand and bright blue, shallow water. Surrounded by trees, it accommodates up to 7 people very comfortably. 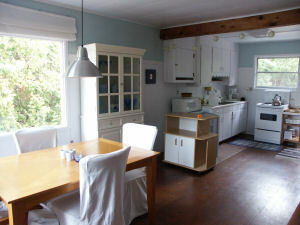 Fully furnished and equipped, it features an open concept living room, kitchen, eating area and a bathroom with a shower. 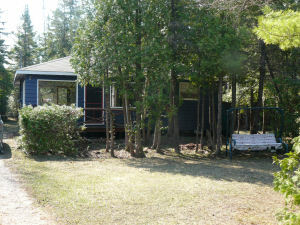 The cottage has a large, grassy front yard perfect for relaxing under the trees or around the campfire. The back yard features a forested area with a newly-built children's tree house. 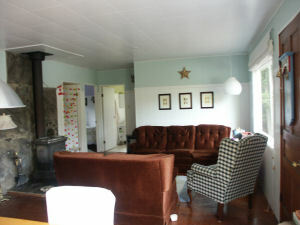 Large-sized bedrooms. Kids' tree house. Patio furniture. Minimum Booking:  One week. 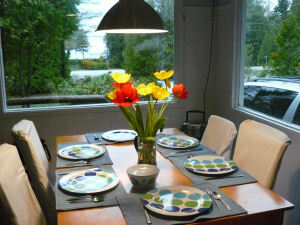 Cottage rents Sunday to Sunday.